This project is concerned with the automatic segmentation of multiple organs in 3D medical images. Initially, we have investigated abdominal CT images but our scope will grow to full-body scans, multiple modalities and other structures (such as bones, muscles etc). Because we are not using expensive registration methods our approach is well suited to very large clinical studies with thousands of medical volumes. 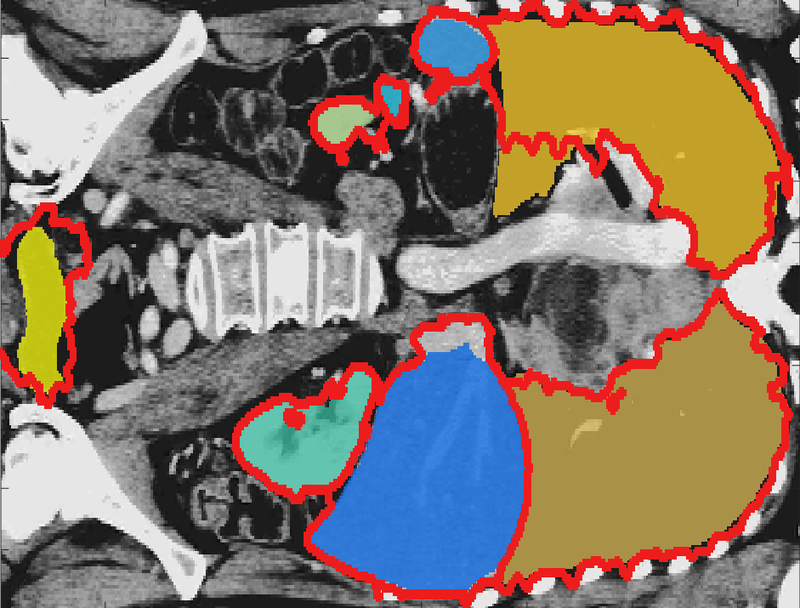 Most existing work in multi-organ segmentation is based on registration approaches. However, such approaches are slow , inaccurate when faced with large inter-subject variabilities and require all the data to be available during segmentation time. 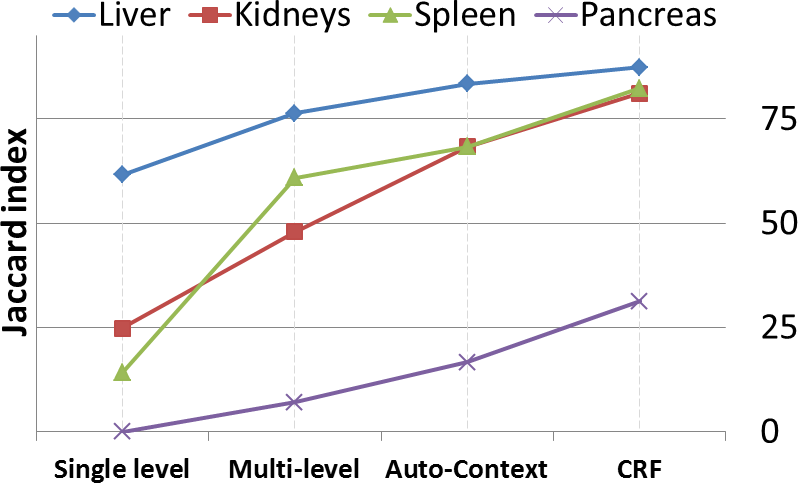 We propose a framework for multi-organ segmentation which leverages several ideas from computer vision and machine learning and does not require any registration during training or during segmentation time. -- We first generate supervoxels from each CT image at multiple levels of detail. -- We the extract a set of complimentary appearance and context features from the supervoxels. -- The disriminative models are linked together in a hierarchical auto-context fashion. Our method is fast , accurate and because training is done offline and decoupled from the segmentation stage, we can increase accuracy by training with more data but wihout incurring any additional segmentation cost. In addition, we do not require the trained data (atlases) to be available during segmentation time. All we need to store is a small set of trained classifiers with a minimal memory footprint and without data storage and privacy issues. This makes our method efficient , portable and very practical. Figure 1: Overview of our registration-free segmentation approach. The main components include: multiple-levels of supervoxels, extraction of volumetric shape and texture features, hierarchical auto-context and finally label fusion by a hierarchical conditional random field. 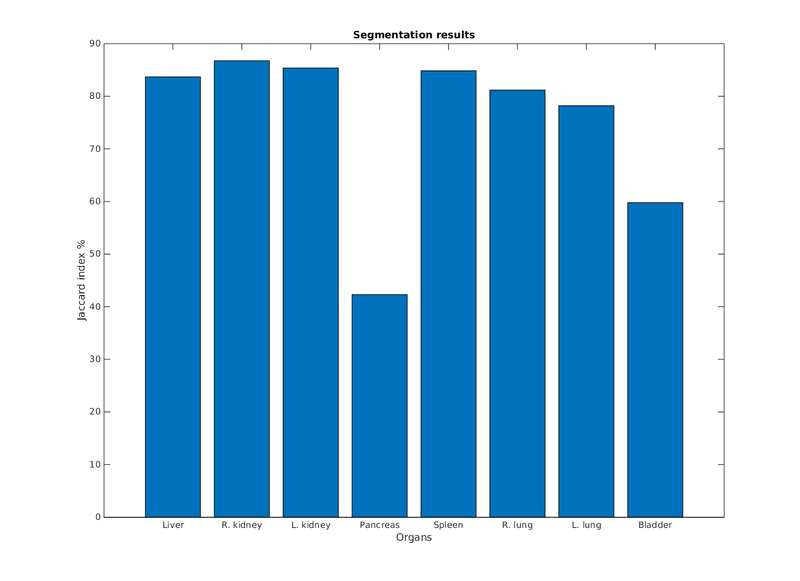 Figure 2: Illustration of the gains in segmentation accuracy by leveraging additional information from the data. Figure 4: A typical segmentation output. Overlaid are the ground truth manual segmentations. Please contact Vasileios Zografos for available student projects within this research project.